Hon. William A. Dreier (Ret.) - Mediator & Arbitrator based in Bridgewater, New Jersey. If you’d like a list of available dates for William Dreier , please submit a request below. You will hear back directly from William 's assistant, Ruth Nolan. In his 25 years in the New Jersey State Judiciary, Judge Dreier was a presiding judge of the Appellate Division from 1994 through 1998. He served in the Appellate Division since 1983, and previously in the Chancery Division and the Law Division of the Superior Court since 1973. He has authored approximately 380 published legal opinions. Recognized as one of the nation’s leading experts in the areas of Products Liability and Commercial Law, Judge Dreier has lectured in New Jersey and nationally on Products Liability in law school symposia, NJICLE programs, and as the coordinator of and lecturer in several ALI-ABA national products liability programs. He also gives periodic lectures on Chancery Practice and Complex Mediation for NJICLE and other organizations. He is the author of several books and over 50 law review and journal articles. His book, New Jersey Products Liability and Toxic Tort Law (Gann Law Books) has been published annually since 1995, as a successor to seven editions with supplements, published by NJICLE since 1977. In addition, in the area of commercial litigation, he has authored the eight editions of Guidebook to Chancery Practice in New Jersey, the state’s principal text on Chancery Practice from 1983 to 2012, as well as two earlier texts on Secured Financing. The first edition of his newest comprehensive text, New Jersey Arbitration Handbook, was published by the New Jersey Law Journal in March 2013. As an arbitrator and mediator, Judge Dreier has been chosen as a fellow of the College of Commercial Arbitrators, a member of the New Jersey Panel of Distinguished Neutrals, International Institute for Conflict Prevention and Resolution (CPR), and the AAA National Panels of Mediators and the AAA panels of Commercial, Large and Complex Cases, Class Actions, and Wireless Telecommunications Arbitrators, and as an International Chamber of Commerce (ICC) and International Centre for Dispute Resolution (ICDR) Arbitrator. He is a Certified Mediator for the U.S. District Court, District of New Jersey, and a accredited mediator of the International Mediation Institute, CEDR (London), as well as the New Jersey Association of Professional Mediators. Judge Dreier regularly serves as a court-appointed master in various complex commercial and other litigation. He lectures in the training courses for mediation certification, and he has written extensively on the subject of ADR. He has authored over 50 journal and law review articles as well as approximately 380 officiallly-published judicial opinions. 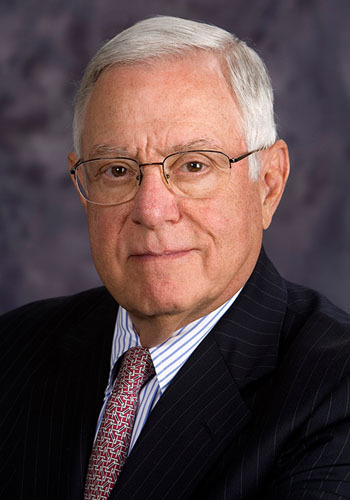 Among the many honors and awards he has received are the New Jersey Bar Foundation's Medal of Honor (2008), the organized Bar's highest award; the Lifetime Professional Service Award from the Somerset County Bar Association (2008); the first annual William A. Dreier Award for Excellence in Products Liability Law, from the State Bar Association's Products Liabillity Section (2009); the ADR Practioner of the Year Award from the State Bar Association's Dispute Resolution Section (2010), and various earlier awards from NJICLE and other organizations. $590/hour portal to portal plus out of pocket expenses. Overnight limited to 10 hours billing.